Finally couple of days free. The last month or so has been very busy and has taken serious toll on the fly box, leader materials and the physical appearance of my truck but with a couple of days free all will be stocked up and ready to get into the next job. It has been a great couple of weeks again with some interesting clients, great weather and great fishing that will stand out in my mind over the colder winter months. 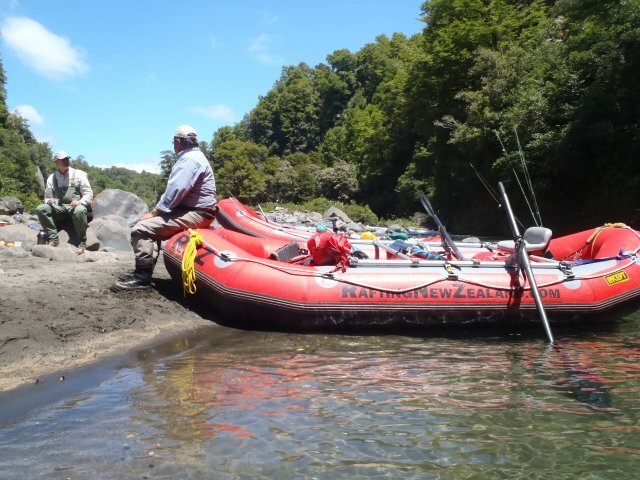 Over the past week or so my clients have taken advantage of rafts and quad bikes to access the deepest points of the best rivers to achieve above average results which has worked to plan perfectly. The Upper Tongariro has been a great day out on every occasion and anglers have enjoyed plenty of fish from most of the pools while having a blast raftingÂ the grade 3 white water rapids. 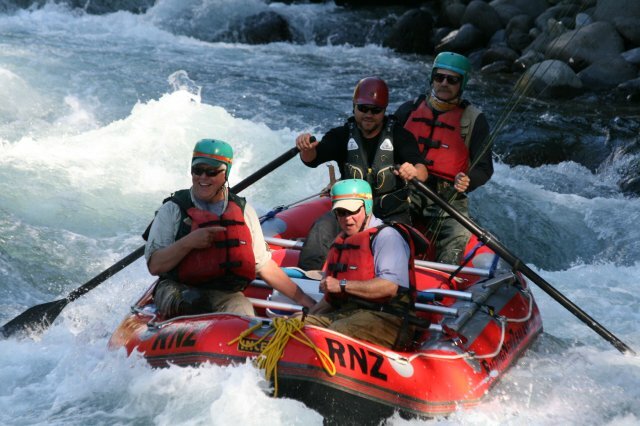 Fish numbers are still pretty good up high and many fish can be spotted or spooked while rafting through the deeper pools the trick in here is to know the water you are fishing and get those flies to the depth that they are working at. Like any river best results will be achieved by those who fish the river regually and those who have had bad days and learnt from that experience to turn it into a good day next time. 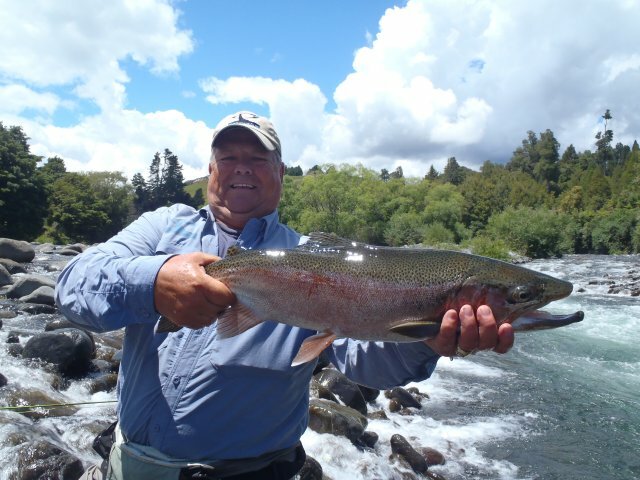 TheÂ lower and mid sections of the Tongarrio have all got fishÂ and this has been proven while taking a stroll down the river in the later hours of the afternoon and watching the evening rise. 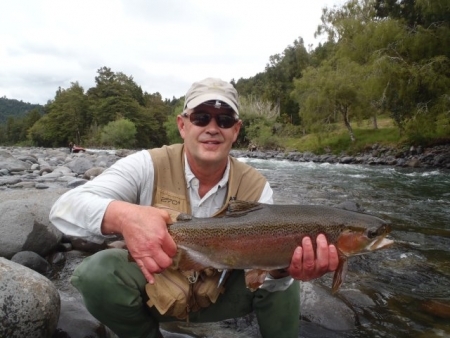 You can fish all day and struggle in certain pieces of the river and be convinced that there are no fish holding in the pools but your mind will be changed in the evening when food is hatching and trout are splashing all over the place. With bright conditions and low water Â maybe trout are just hiding in the deeper pools nad being less active until the cover of overcast days or dimming light gives them confidence to crawl out and show themselves. The lower river is somewhere which I am watching closely and right down near the delta there are some very good browns stacking up which should give us some frustrating sport in the next month or so. This is a long walk down here but give it a few weeks and fish will soon be pushing around the Bends pools or Reed area which will be more accessible for most guys with a time frame. My aim this year will be to land one of these large fish between 10 and 15 pounds and have him proudly displayed on the office wall, its beenÂ a aim for a while now but time to get serious! The backcountry……well what can I say about the backcountry which wont give too much away. Again most of my fishing has been from raft or quad bike which has given plenty of opportunity to access water which has not had much pressure giving clients some great days with good conditioned fish. Â In my experience these blighters fight like they have not been hooked before and most anglers are lucky to land half of waht they have hooked and this has been the case in the past week or so. Pocket water has been good for me and fish have been holding up in the faster oxygenated water which has made landing 5lb trout very hard to land for most. Theres nothing better than getting these fish to the tail of the pool when the run empties intoÂ a deep hole as this gives most a good chance to play the fish out and slip the net under them. Stealth mode is very important with the bright conditions lately and laying a delicate line out quietly has deffinitley helped with more hook up’s. Small nymphs are still on the menu in most rivers with the odd brown found sipping small drys from the backwater of a slow run but in general it’s still all on nymphs-at least where I have been. 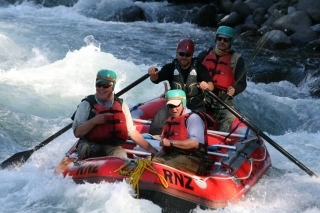 Total care should be taken on the Whakapapa river at the moment as they let water down it on the 1st of December to maintain summer flows which has made crossings quite deep and dangerous. More water mixed with slippery rocks are a good ingredient for disaster so take care as this river offers high risk for taking a dip and drowning or tripping on those huge boulders and hitting your head. The Whanganui apparently had a pumice slip come down mid week and will probably be no good to fish for another week or so as it has dirtied water up and put the fish down. Christmas is only just around the corner and I bet you are wondering what the wife should get you for the ultimte Christmas present well why dont you drop her a hint and get her to give me a call and we can get you booked in for a day out on a river somewhere? Better still lets book her in and then you can come along as well-perfect!